It is too late for the state to seek damages from 3M, a manufacturing giant in abrasives products, over drinking water contamination in Washington County because the Minnesota attorney general's office missed the six-year statute of limitations, company attorneys argued in court Thursday. It was the first faceoff between the company and the state in the 2010 case over whether 3M should be held responsible for a 100-square-mile plume of toxins called PFCs that for years have spread throughout the region in groundwater and into the Mississippi River. The state's experts have estimated that it could total up to $5 billion in damages tied to treating drinking water, lost property values, contaminated fish and other wildlife. 3M attorneys asked Hennepin County District Judge Kevin Burke to dismiss the state's suit, which is scheduled for trial in mid-February. The company also argued that the state long ago agreed not to sue over harm to natural resources that were covered in an earlier settlement with the Minnesota Pollution Control Agency, and that should preclude any claim for punitive damages. Attorneys for the state, however, said that the company's lawyers were misreading the statute of limitations in the state's environmental law. The clock started ticking only when the state understood the scope of the contamination after 2004, not when the problem was first recognized in 2002, they said. And the earlier settlement, they said, addressed cleanup and drinking water problems, not overall harm to the environment. 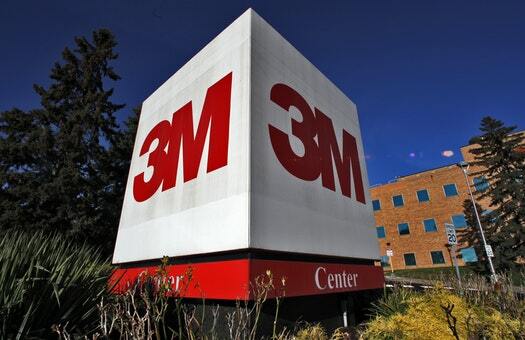 3M was for decades the leading manufacturer of PFCs, used in Teflon, Scotchgard, firefighting foam and many other consumer and industrial products; they were among the most widely used chemicals in the world. For 30 years they were dumped at four sites in Washington County. The company stopped making PFCs in 2000 after the Environmental Protection Agency said they posed health risks to people and wildlife. Since then, scientific studies have increasingly found links to cancer and developmental problems in infants and children. As a result, last year the EPA, Minnesota and other states drastically lowered the limits they say are safe for drinking water. John Hall, an attorney with the Washington, D.C., firm Covington & Burling representing the state, briefly laid out what he said was 3M's pattern of depriving the state, the federal government and the scientific community of compelling evidence that PFCs were potentially harmful. Company scientists knew early on, he said, that PFCs would dissolve in water, and would accumulate indefinitely in animals, and would cause cancer in rats. Even so, for years they dumped it in unlined waste sites, where it seeped into groundwater. By the late 1970s, they were monitoring PFCs in their own employees "because they knew it was a cancer risk," he said. When outside researchers called to ask why they were finding PFCs in the blood of people in the general population, "3M falsely claims ignorance," he said. After the EPA asked the company to stop manufacturing it, the company was fined $1.5 million by the EPA for failing to turn over research that raised critical questions about the chemical's safety. "Their basic argument is that you are the tobacco company," Burke said to 3M's attorneys, referring to the decades that the tobacco industry suppressed and denied information that linked cancer and cigarettes. But 3M's lawyer, Charles Webber, an attorney with the Minneapolis law firm Faegre Baker Daniels, said that the state was misrepresenting all the internal documents, studies and e-mails that form the basis for its case. It's all evidence, he said, that 3M was doing its best to measure and document potential risk. And it always concluded that the PFC levels found in the environment were harmless — a claim it still makes today. Webber compared it to alcohol. "Everyone knows that alcohol is toxic at certain levels," he said. But the question about PFCs is "what's the concentration, what's the dose" that poses a threat? The state has yet to produce evidence that 3M knew it was releasing chemicals into the environment at levels that were harmful, he said. Burke didn't rule immediately, but raised sharp questions with lawyers on both sides. He said that the state's selective use of information "looks like you cherry picked. It looks like I can't trust you." And he told Webber that 3M's monitoring of its own employees "doesn't look good." He was also concerned about a jury's ability to comprehend the complex legal and scientific issues it will face. If the trial goes forward, he may break the proceedings into separate pieces for the question about the statute of limitations, the company's liability and the punitive damages. He will rule on the motion to dismiss in the coming weeks. It is now one of several cases around the country involving 3M and other manufacturers. Earlier this year DuPont settled thousands of personal injury lawsuits for a total of $671 million for cancer and other health impacts from contaminating drinking water around its Teflon plant in West Virginia. Other lawsuits against 3M were filed in Alabama for drinking water contamination in Decatur, and others have been filed across the country due to water contamination from other manufacturing sites and firefighting foam. Last year, the city of Lake Elmo sued 3M to recoup cleanup costs to its drinking water system, though it's on hold pending the state's lawsuit.